Disease Management: Reducing Total Load - Piedmont Physical Medicine & Rehabilitation, P.A. Total load refers to the total number of factors that prevent you from getting well, or staying well. Most people have an intuitive desire to reduce total load, but given today’s complex world, it is not always easy to know just how to do that. Let’s start out with some of the basics: enhancing proper nutrition and reducing harmful environmental factors. Without proper nutrition, your body cannot function properly. On the surface this seems obvious enough, but it takes a little extra knowledge to understand that low magnesium levels can lead to blood vessel spasm, result in migraines, vasomotor abnormalities (such as cold hands and feet or Raynaud’s syndrome), peripheral vascular disease (hardening of the arteries), and even heart attacks. In an effort to avoid nutritional deficiencies, many people take vitamins, vitamins with minerals, or other supplements. Since they don’t really know which ones they lack, they choose either a single broad-spectrum tablet or several specialty pills. However, supplementation based upon actual needs would be much more useful. 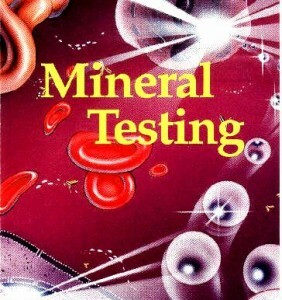 Obtaining a Red Blood Cell Mineral Analysis blood test, for example, can assess actual deficiencies. This blood test is different from a CBC or the normal blood work routinely drawn in most doctors’ offices. Recommendations (which should be simple) based upon the test results can then be made to meet your own unique needs rather than by simply guessing. Even with individualized supplementation, absorption is not guaranteed. Many concerns have been raised about the negative health impact of taking excessive or unnatural quantities of anything. Content reliability makes decision making murkier still. One simple solution is this: when given a choice between two different products or foods, always chose the one that man has done the least to. By definition this approach will reduce total load, as there will be a smaller chance that nutrition will be lost during processing. In addition, man-made chemicals or additives will be reduced. These additives contribute to total load. They put extra stress on the liver and gut during digestion. This can affect gut absorption. Leaky Gut is a lay term that refers to poor absorption in the gut. It may be due to mineral deficiency, improper balance of normal flora, infection (such as yeast), heavy metal toxicity or several medical disorders. Even if a medical condition does exist, it is only prudent to reduce those factors that don’t allow you to get well, and to enhance those factors that do help you get well. One approach toward reducing a leaky gut is to test for heavy metals (mercury, arsenic, lead etc.) with a six-hour urine collection study. 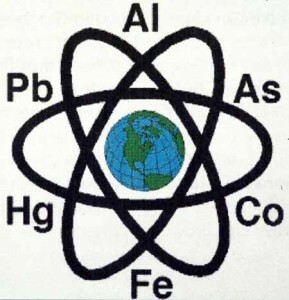 Heavy metals bind within the body where minerals belong. They stop your body’s enzymes, immune system and other physiological responses from occurring normally. If your test comes back positive, often your doctor can prescribe an oral medicine such as DMSA to help you get rid of a leaky gut. The process can take time, but the rewards include an enhanced feeling of wellness, improved clarity of thought, better sleep and increased energy. While these are important for anybody, they carry special meaning to those with disorders such as Neuropathy, Fibromyalgia, Vascular disease or Cancer. This is only an introduction on reducing total load. Go to the piedmontpmr.com home page for more options on reducing total load. By reducing total load, you will just plain feel better.